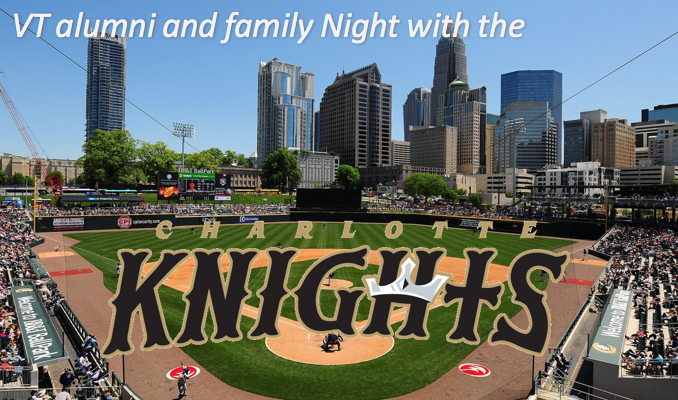 Join your fellow local Hokies as we watch our Charlotte Knights take on the Gwinnett Braves on Thursday, July 13th! Buy your Berm/Standing Room Only tickets for $8 and meet up to watch the game with other Hokies! As the night approaches we’ll send out specifics about where everyone should meet! TICKETS ARE NOT INCLUDED! Please purchase your own tickets to the game. The Hokies will meet up in an area that is available with a Standing Room Only ticket. If you plan to go, please register below so we can send you more details about where to meet as the event nears.